Session 1: "Training your senses" - As the Church learns to depend on the presence of God and becomes sensitive to the Holy Spirit through resting, praying, fasting, worshipping and listening, she will be transformed. The Church is called to become mature and discerning as she constantly feeds on God's truth and influences the world with God's presence (Acts 1:8; 10:1-4; Heb 5:14). Session 2: "Filled with the knowledge of the glory" - Looking at 1 Cor 12:7, André explained the difference between words of knowledge, words of wisdom and prophecy. He then spoke to us about the glory of God and how believers need to have revelation of the Lord's glory in order to be carriers of the knowledge of the glory of God. André encouraged us to pursue the knowledge of the glory of God and to birth it in our "off-season" so that we can produce it in season (Hab 2:14; Num 24:15,16; Ps 19:1-5; Pro 2:4-7; Dan 1:17; 12:4; Mt 13:11; Rom 1:28; 1 Cor 1:5; 2 Cor 2:14; Eph 4:13)! Session 3: "You will receive power" - Dependence on the Holy Spirit and recognising His work prepares us for what God has prepared for us (Rom 8:26; Acts 1:8). 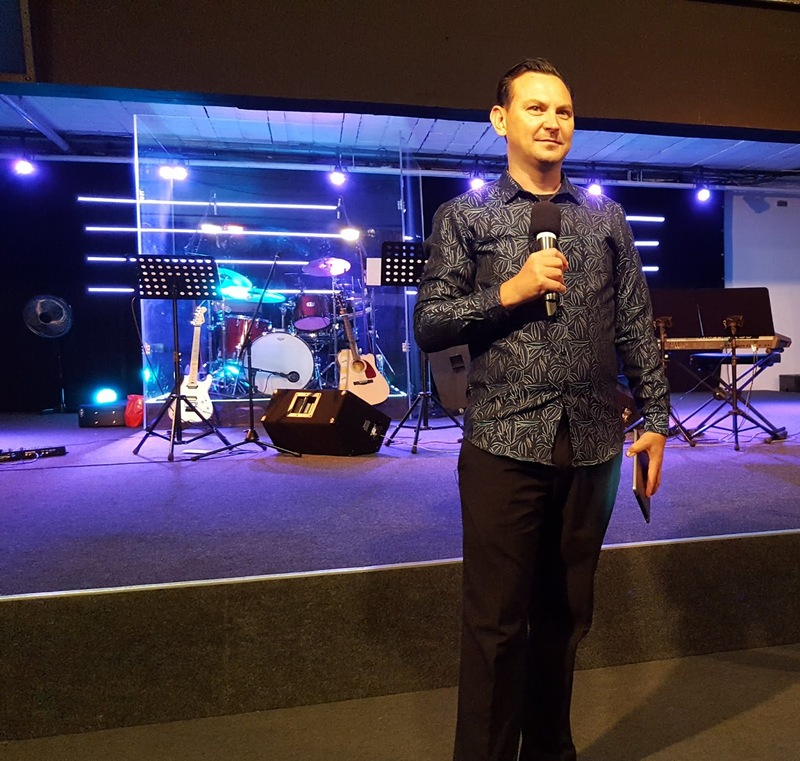 Session 4: "Living in the glory" - Looking at the account of Elisha's request to receive a double portion of Elijah's anointing in 2 Kings 2:9-15, André showed us that God wants us to walk in a double portion of His anointing this year as a church - a season of 'more than enough'! André encouraged us not to withhold what we are able to give in order to touch the lives of others with the blessings we, ourselves have received. Just as Elisha and Elijah were assigned to one another, so the Church is called to seek out divine relationships that God has assigned to release blessing and breakthrough. As the Church grows in her understanding of God's grace, she will learn to live in God's glory and be a blessing to believers and unbelievers alike. Yesterday's meeting was electric. The place was full of hungry and expectant worshippers who joined together with one heart and one spirit to seek God's face and worship Him. Our time of worship in song moved into a powerful time of communion as we received the very life of Christ and participated in His body and His blood (see Jn 6:53-57; 1 Cor 10:16,17; 11:23-26). After his message on "Living in the glory", André prophesied over many people who were visibly moved by the accuracy of the words spoken and the revelation of the Father's heart. He then invited the church to come forward for prayer and to be anointed as we continued in worship. It was another very powerful time as many were filled with the Spirit and God confirmed His Word. The presence of God was so strong that people did not want to leave but enjoyed communion with the Holy Spirit or fellowship with one another over a hot drink and cake. 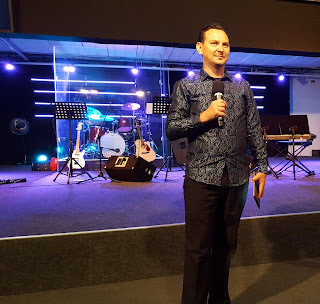 It was a joy to have so many people at the meeting and have such an awesome time with God as a conclusion to our 3 day Prophetic Encounter conference! Hallelujah!